Seeing Alaska by air is an amazing experience. 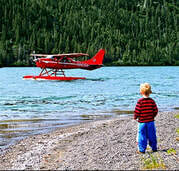 Our guests have the option, for an additional charge, of booking a scenic flight to round out their Alaskan tour. 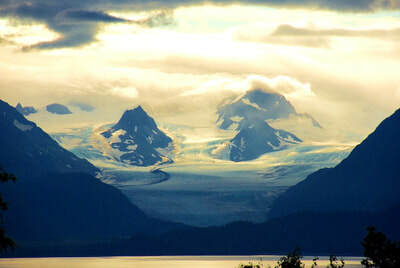 Beautiful scenery is abundant in Alaska, but the southern Kenai Peninsula is one of the top, must-see places. 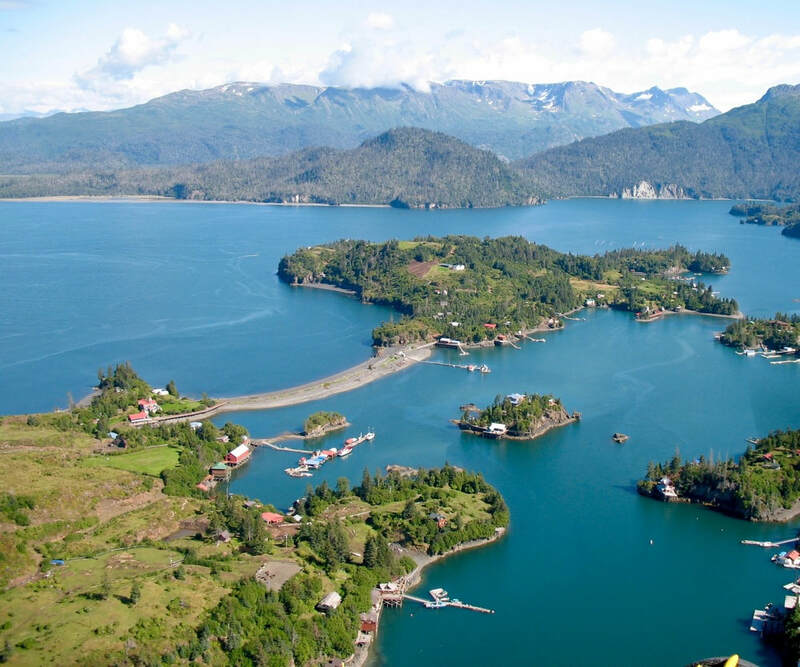 Where else can you fine snow capped mountains, glaciers, salt water bays, coves, and estuaries all surrounded by thousands of square miles of productive ocean waters? 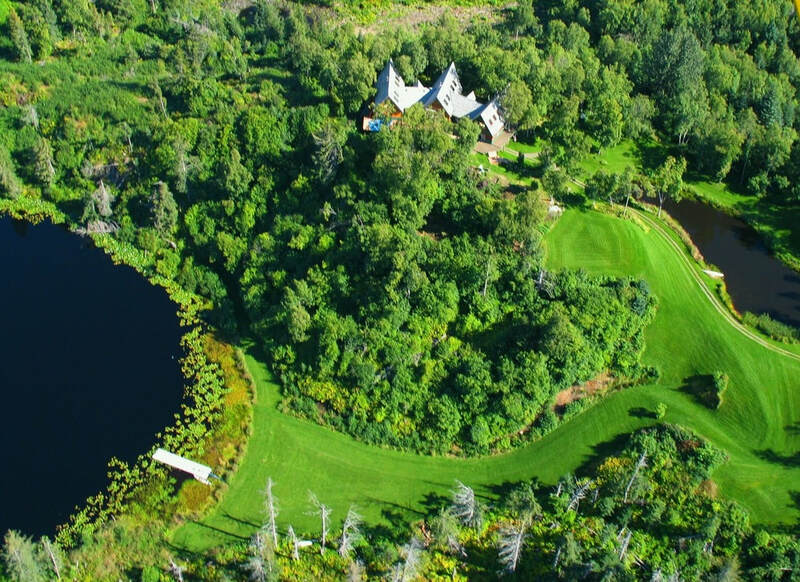 Until you have seen it from the air your view is incomplete. 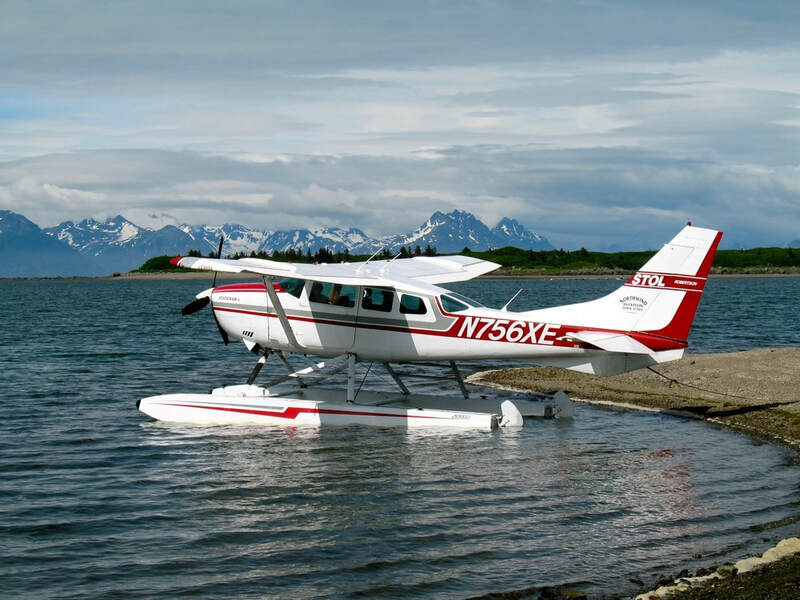 These scenic tours are taken on a fixed wing aircraft, and can be combined with our Leisure Lake adventure in the Kachemak Bay State Park. 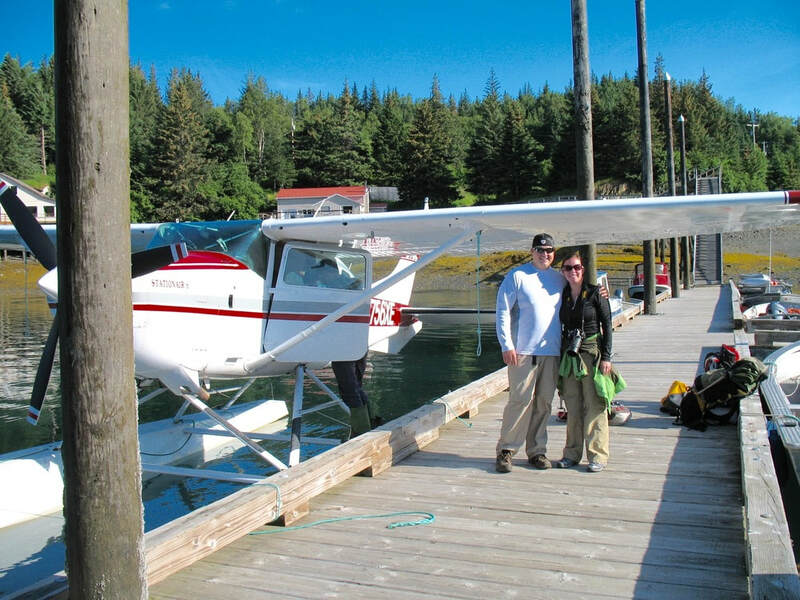 After being picked up from the Lodge, a beautiful scenic tour can be taken around the Harding Ice Fields and Kachemak Bay, after which the float plane can drop you off at your destination and the afternoon can be spent kayaking, hiking or fishing. 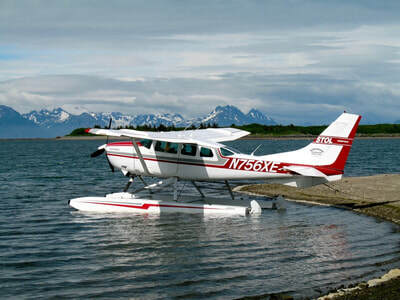 The plane can then return to pick you up and bring you back to the lodge, or you can choose to hike out with your guide. 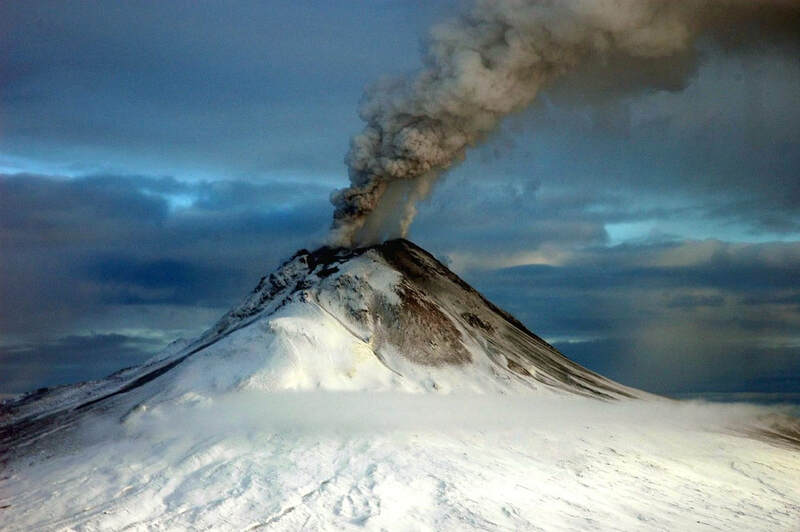 Another option is flying to southwestern Cook Inlet to see to the Augustine Island Volcano. 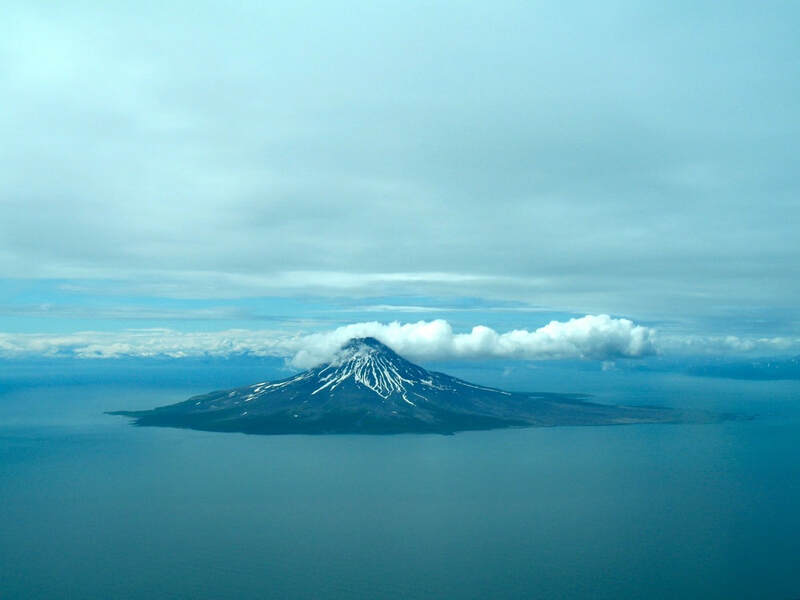 You can peer into the crater of this active volcano while flying over head, then explore the beaches of this uninhabited island which is made up mainly of past eruption deposits. 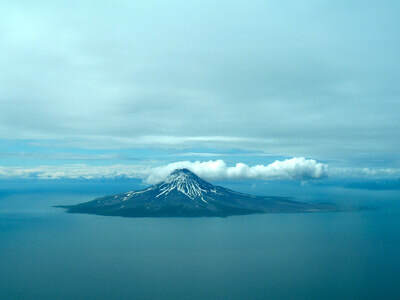 Augustine Volcano. 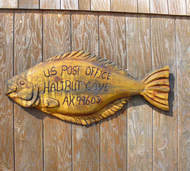 Photo Credit: Game McGinsey. 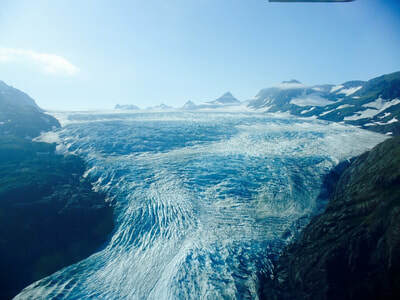 Image courtesy of U.S. Geological Survery. 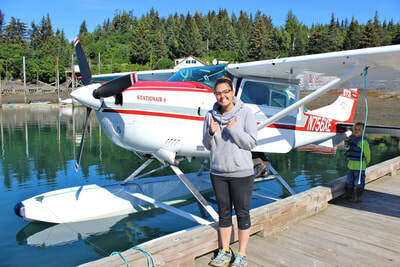 Getting ready for a Flight Seeing Tour in Kachemak Bay, Alaska. Aerial view of the community of Halibut Cove, Alaska. 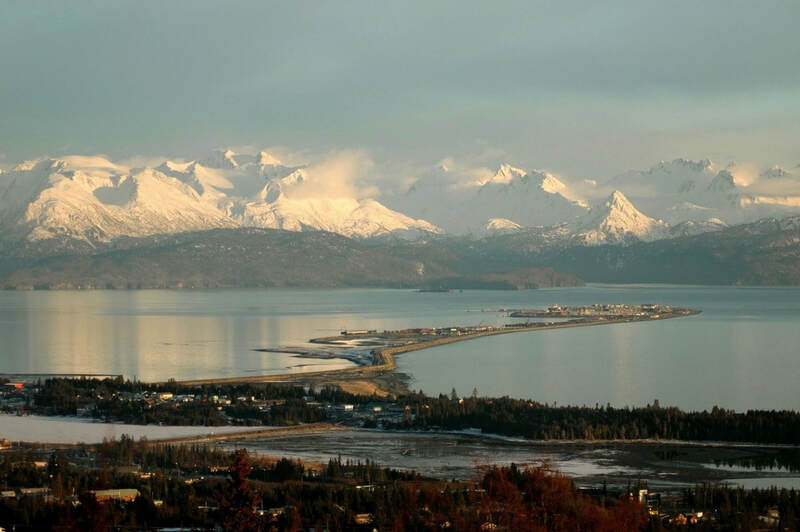 Aerial view of Kachemak Bay & Homer, Alaska.